These categories represent interacting elements that form an integrated cognitive-emotional processing pattern, rather than a discrete “style” as Davidson suggests. He offers a quick assessment of your “brain style” via these surveys and other resources on his website and related locations. -*Which Emotional Style is most prevalent is your work organization? -*Which Style is more effective in your workplace? 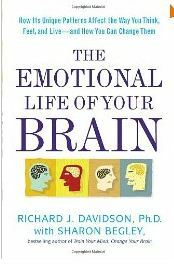 This entry was posted in Behavior Change, Career Assessment, Neuroscience, Resilience, Thinking and tagged Attention, Behavior Change, Business Communication, Career Assessment, Emotion, Neuropsychology, Richard Davidson, Self-Awareness, Thinking, Work-Life on May 20, 2012 by kathrynwelds.